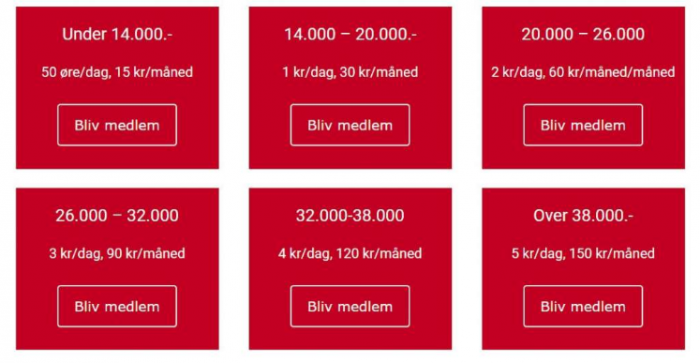 A recently launched news outlet in Denmark is taking an approach Fox News might be intimidated by: an explicitly socialist membership scale. “Our starting point is socialism and class struggle, and our opponent is the minority who sits on the vast majority of the values ​​in society and who also dominates the vast majority of the media,” says Morten Hammeken in a press release. That’s Google Translate from another Danish site, so apologies if there are some misinterpretations. (Dag = day, maned = month — that chart outlines how much you should expect to pay based on your income.) Solidaritet explains “in Solidarity we mean that the widest shoulders carry the heaviest load. Therefore, our membership income is graduated.” Medietrends.dk notes that Solidaritet has received 1.33 million kroner (around US $200,000) from a government innovation fund. We believe in the power of solidarity: those who can afford a little more can help keep our journalism accessible to those on a tighter budget…. Those who can afford to pay more for membership enable others to pay less. In so doing, we help each other keep journalism accessible for everyone. That way it remains a public good without having to be free. 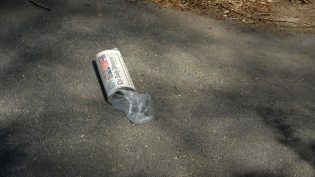 The Columbus Dispatch raised the price to their best customers, the ones they believed could afford to pay for it, by 100 percent and lost about 8 percent of their volume overall. I think they did a better job than we did. But this is an opportunity for how do we pay for journalism. I’ve got to find more sustainable revenue sources. And the consumer, who loves the newspaper, who isn’t going to give it up until they are six feet under, they will pay more for the newspaper, because we’ve subsidized the price over time. At the Star and 29 other McClatchy papers, longtime core subscribers, especially in higher income ZIP codes, are being hit with big renewal rate increases. Some will cancel, the theory goes, but many will shrug and send in a check. So the practice works out to a net revenue gain for the company. Yes, the Danish socialist outlet is choosing a new strategy by being as upfront as it is. But in the reader revenue rate race/looming subscription-pocalypse, many news organizations are trying to coax out as much money as they can. Schmidt, Christine. "“The widest shoulders carry the heaviest load”: A Danish socialist outlet charges membership fees based on personal income." Nieman Journalism Lab. Nieman Foundation for Journalism at Harvard, 18 Mar. 2019. Web. 24 Apr. 2019. Schmidt, Christine. "“The widest shoulders carry the heaviest load”: A Danish socialist outlet charges membership fees based on personal income." Nieman Journalism Lab. Last modified March 18, 2019. Accessed April 24, 2019. https://www.niemanlab.org/2019/03/the-widest-shoulders-carry-the-heaviest-load-a-danish-socialist-outlet-charges-membership-fees-based-on-personal-income/.